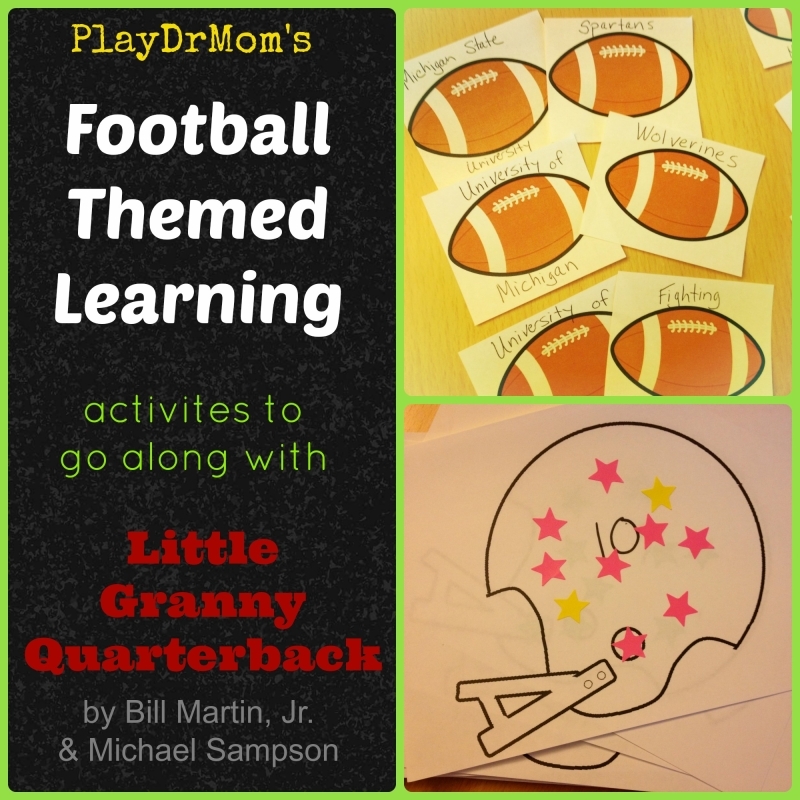 Football Themed Learning: Activities to go along with “Little Granny Quarterback” by Bill Martin, Jr. 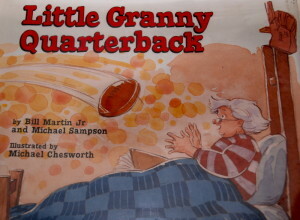 They loved the silliness and great illustrations (by Michael Chesworth). We also had fun talking about whether or not what happened in the story was for real … and what made us decide the way we did (I don’t want to spoil the story for you!). I also really enjoyed that it was about a woman football player because I always enjoy when kids people are exposed to characters and story lines that go against traditional stereotypes. Being that it is the start of football season I also figured it would a great book to go along with some Football Themed Learning! 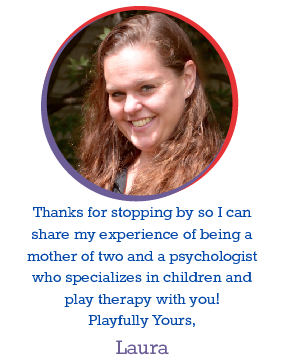 I came up with 2 activities to match the skill level for both of my kids. A Football Match-Up Game for my son to learn the teams and locations. 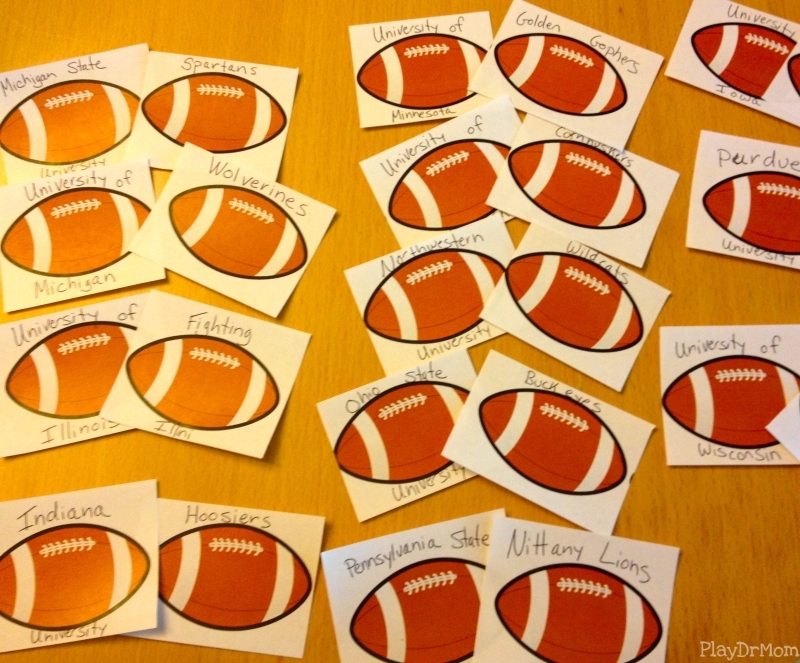 And a Football-themed Sticker Game for Learning Numbers for my daughter. From there I went to Google and searched for football images. 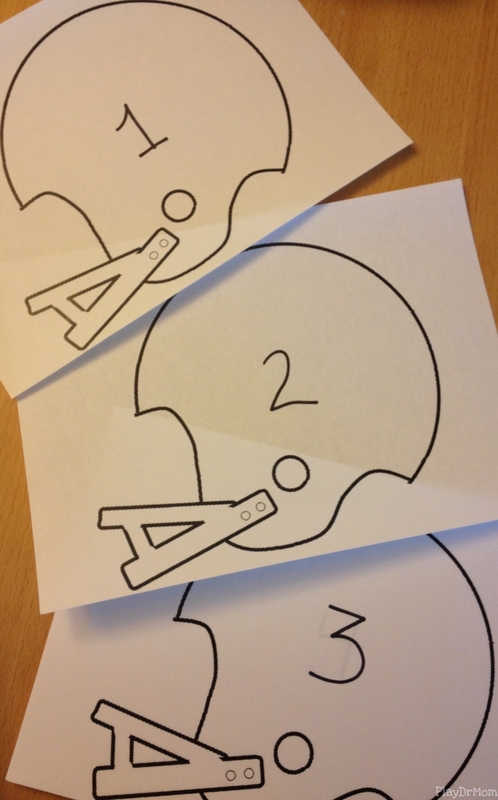 After finding one that I liked I copied and printed 2.5 X 3.25 versions of the image … 24 times for the Big 10 (confusing, right? the Big 10 currently has 12 teams!) and 36 times for the NFC. I could have printed them on nice cardstock so they were sturdier, but I went the cheap and easy route and printed them out on regular computer paper. Once the printing was done and I used my trusty paper cutter to make individual football “cards”. Then I wrote the locations and teams on each card. TOUCHDOWN! 2 Decks for a Football Match-Up Game! There’s 2 ways to play … the first is scrambling up the cards face-up and simply finding the matches. This is a good version for those still learning which them goes with what locale. The second way is turn the cards face-down and match up the cards as a memory game. 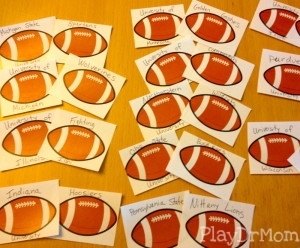 Football-themed Sticker Game for Learning Numbers (geared toward preschoolers) My daughter is still working on number identification and counting, so I created an football themed number activity for her. 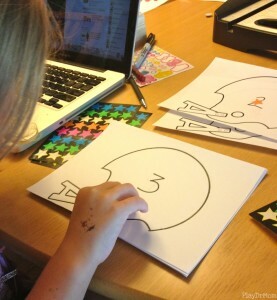 I printed a great free football helmet image from Free Kid Crafts 10 times and wrote a number from 1-10 on each. I then worked with her … one “helmet” at a time … having her first identify the written number and then placing the correct number of star stickers (just like the stars on the helmets of the opposing team in the book) on the helmet. It was a great hands-on learning activity for us to enjoy together! 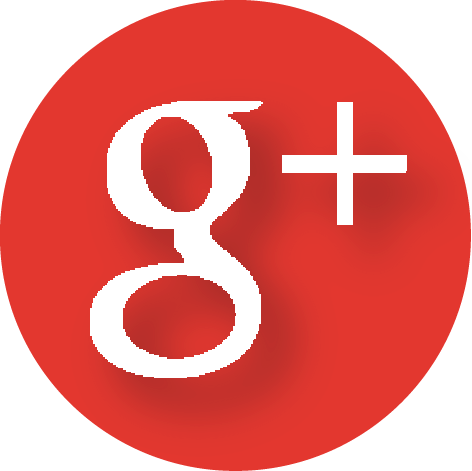 Make sure you check out the other great posts on activities, crafts, & projects to go along with books by this month’s featured author, Bill Martin, Jr.
1. Pick your favorite book by Bill Martin Jr. (or a new one you want to check out) and read it with your child or class. 2. 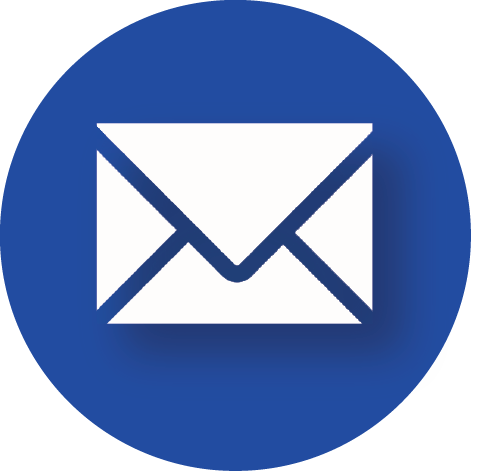 Create an activity, project, craft, cooking project, etc. related to the book and do it. 3. 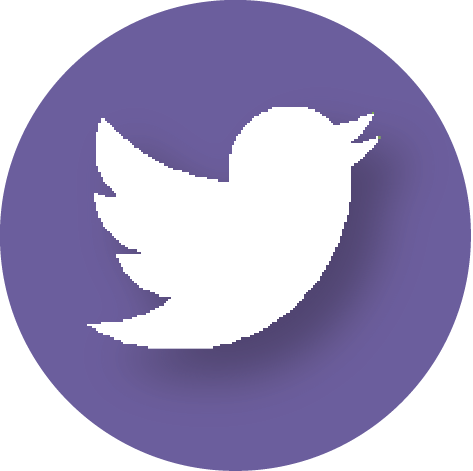 Come back and share it with us as part of a big blog hop on Monday, September 9th. 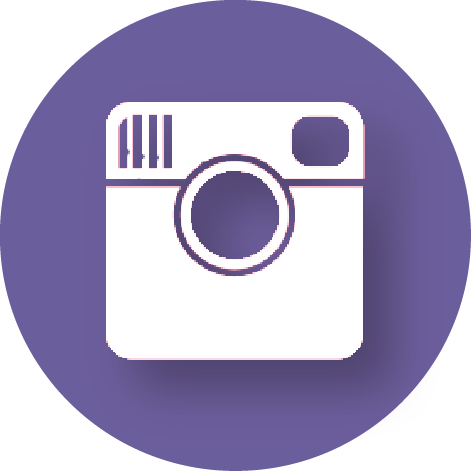 The linky will be live for 3 weeks, so if you aren’t ready to post on the exact date… just join in when you can! 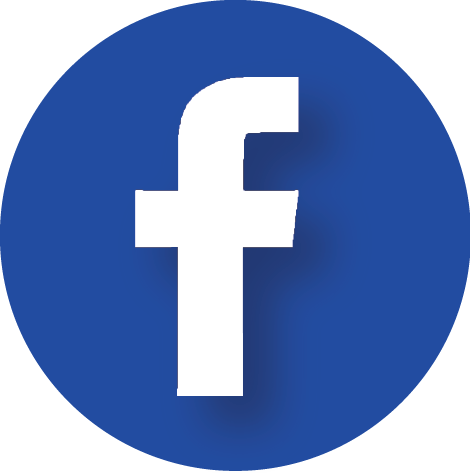 If you don’t blog, you can share what you did on our Facebook wall, email us, or just comment on the post. 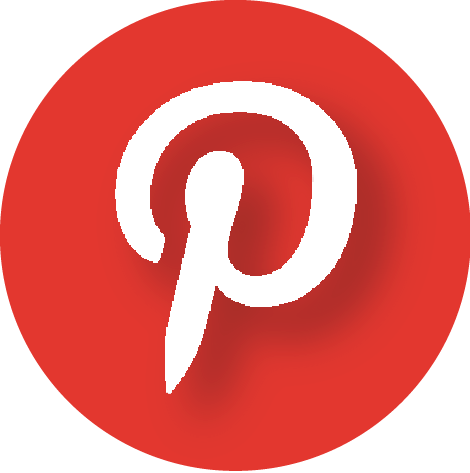 All Blog Participants will have a chance to be featured on our Pinterest Board & Facebook Page! Football is back big here too. What a great learning theme! WOW. I’d probably fail your team matching game! 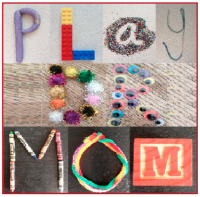 But how awesome that you made such a fun game for your son. I’ll have to pin for a few years when my boys are a little older. 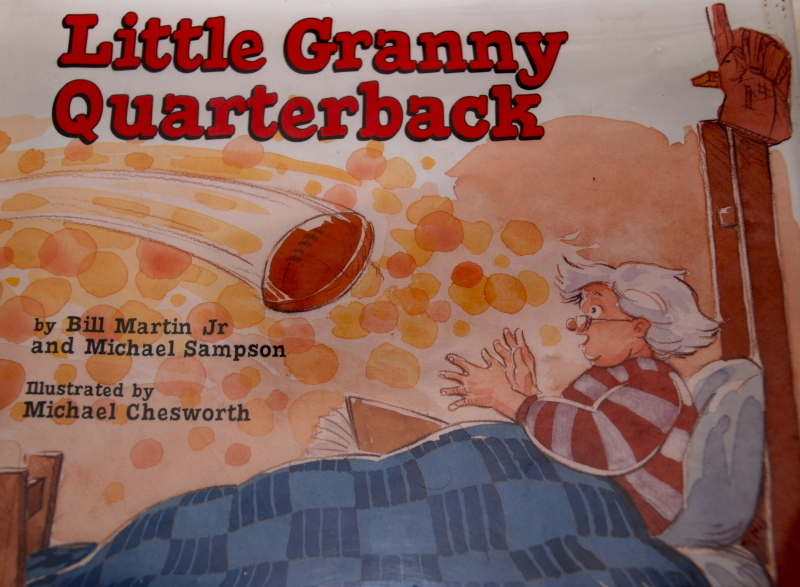 Great book for football season! Jackie Higgins recently posted…Bill Martin Jr.’s Kitty Cat, Kitty Cat Are you Waking Up? Oh my budding football fans will love this! Thank you!